There are several ways which we charge fees for the work we do, and the way used depends on the type of case. During our first office conference, after we review the particular facts and circumstances of your legal case with you, we always explain our fees. If you want us to represent you, you will know in advance the cost or range of cost, as well as other expenses. Sometimes we charge an hourly rate for working on your case. The rate and the overall expense can vary depending on the type of case, the urgency, and nature of the project. Sometimes we charge a contingent fee, which is a percentage of the amount we recover for you: typically one-third of recovery. Other times there are flat fees for cases. After we discuss your case and the legal fee, we invite you to consider whether you wish to retain us to do your legal work. If you choose not to use us and to make other arrangements for legal representation, you will have no further obligation or expense. If you do decide to retain us to do your legal work we can give you a written retainer agreement which clearly and simply states in advance what the cost will be for your case. The expense of legal fees is a legitimate concern for any client. We will talk with you up front about the cost of legal services, and will always discuss your legal expense with you at any time. We will help you to minimize your legal expenses. Needless to say, we do not charge you to discuss your legal fee situation. Before Abraham Lincoln was president, he was a lawyer. His reputation was of honesty and candor in all of his dealings with his clients and others. 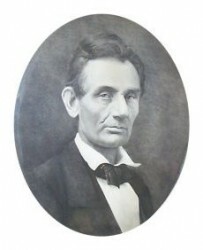 We seek to maintain the same high level of trust between attorney and client as Lincoln was reputed to have had in his dealings. Remember that “a lawyer’s stock-in-trade is his time and advice,” as Lincoln wisely said. We need to be paid for the legal services which we deliver, but will be fair, open, and candid with you about legal fees. Attorney’s fees should be no mystery, and we seek to answer any questions you may have concerning the cost of legal representation.